Founded in 2014, 1st Energy is an Australian owned Electricity provider that services the regions of New South Waled, Queensland and Victoria. Promising an excellent level of customer service, you can ensure your query will be resolved and you'll be looked after at all times. We do not compare all brands in the market, or all products offered by all brands. At times certain brands or products may not be available or offered to you. Please see our Approved Product List. 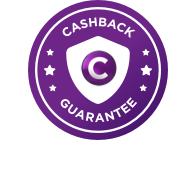 Cashback is delivered by Cashrewards.